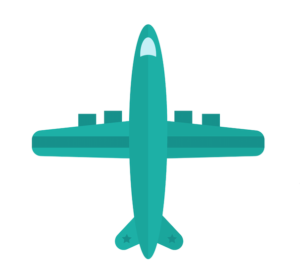 Is your brand moving your aerospace business forward? It might be time to up your game. Taking on a branding or rebranding program for your aerospace business is not for the faint of heart. Brand work requires discipline, focus, commitment and, above all, honesty. In our last edition of the Flight Manual we listed 10 warning signs that you might have a weak brand. This week, courtesy of Lippincott, we are providing a list of questions to jump start the branding discussion internally. If you think you have a branding problem and want to take steps to address it internally, we suggest starting with a very small team of strategically minded leaders who are willing to take an unflinching look at your business and answer these questions. There is no room for ego or living in the past, and this is not a job for a large committee. This more detailed assessment will not be easy, but it is a necessary step in further assessing the health of your brand and getting internal alignment on how or if to proceed, which is critical. Are you faced with skeptics who argue that branding is not important to aerospace and defense businesses? This data from the Harvard Business Review speaks for itself. 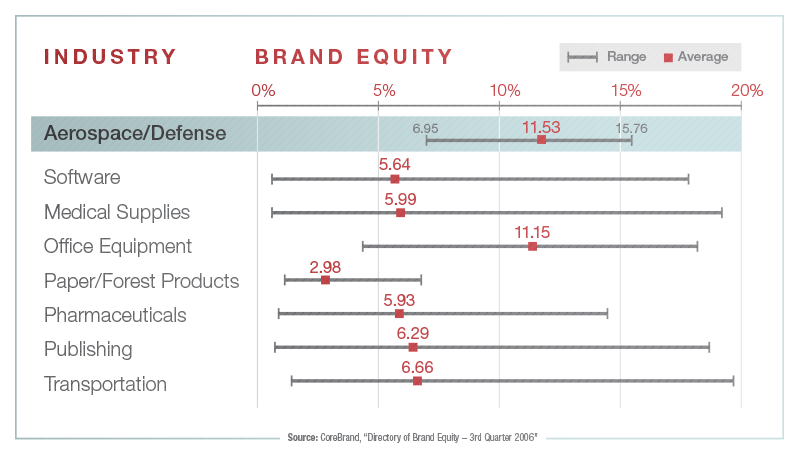 Harvard Business Review says, on average, brand equity is responsible for 7% of a B2B firm's stock performance, but that number is much higher for aerospace and defense businesses. Bear in mind that these questions are just a starting point. Audience research is advisable to validate your internal assumptions and get a true picture of how you are perceived. Does our reputation immediately put us on our customers’ mental short lists for their next big orders or programs? How do we know one way or another? If we don’t know, how do we plan to find out? Are we on our customers’ preferred supplier lists? If so, where do we place, and how does that compare to our place last year or two years ago? If we’re not on the list, why is that and what do we expect to do about it? Does our brand help us to hire world-class talent? What does our brand stand for with potential recruits? Do we even know? For that matter, what do our employees think about our brand — or about any of our product brands? Are they proud of the name—or ashamed of it? Do they encourage or discourage others to join the company? Could our brand help us win a bid if reputation were the deciding factor? If not, why not? Why might our competitor’s brand help them win instead? What does our brand say about us to potential new customers? Does our brand give us entrée to expand into adjacent markets? To take on higher value-added roles such as consulting services? Or are we forever painted as one particular kind of company, unable to do anything different? To what extent is our brand being eclipsed as our big customers or channel partners consolidate and become better-known to end customers and Wall Street? What do we need to do to keep our brand from disappearing? Do investors really know us? How does Wall Street describe us? How does that square with how we see ourselves? Do we have the right mix of brands to go to market? Do our brands fit together logically? Are we supporting and spending on the right brands? How smart are we about our own brand? What should our brand stand for? Can we describe our brand strategy in a 20-second elevator pitch? What’s different about it? What does it contribute to the bottom line? Which customer touchpoints make the biggest difference to our brand? Are we actually living the brand? Do our employees know how to deliver our brand? Do they have the tools to do so? If you liked this blog you may also want to read about the "5 Branding Myths that are Hurting Your Aerospace Business."